Questions about Kichler Lighting 42928CH? 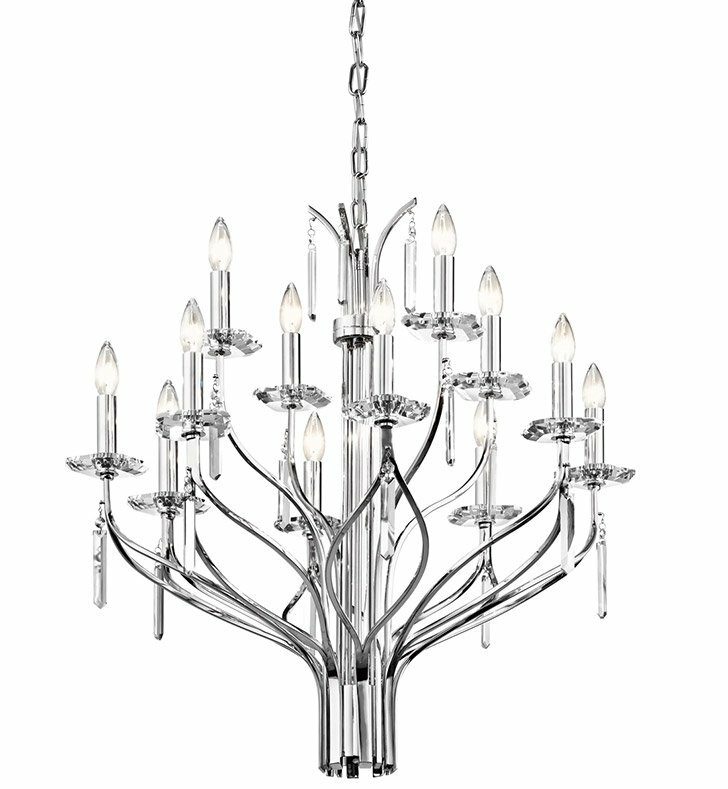 Glamour and glitz come together in beautiful form in this 12 light, 2-tier chandelier from the Aliso collection. Unique arms start as a single line, divide, then come back together again. Faceted crystal bobeches and hanging crystal accents add extra reflection to the Polished chrome finish. Dimensions: H 29 1/2" x W 29"